Anushka Sharma has undergone rigorous training for six weeks for her role as a wrestler in Sultan. The film's director Ali Abbas Zafar is impressed with her dedication. Anushka practiced for long periods regularly and tenaciously followed a fitness regimen to live the part of a wrestler to the best of her ability, said a source from the set. The film also stars Bollywood's Dabangg star Salman Khan, who is also in the prep mode for Sultan, which is said to be a biopic on a wrestler. Complimenting Anushka's efforts, Zafar said in a statement: "Anushka's dedicated six weeks' wrestling programme has drastically changed her body language and has also transformed her body into a very authentic looking wrestler." Anushka Sharma and Salman Khan in Sultan. Image from Twitter. One of Anushka's wrestling trainers, Jagdish Kaliraman, couldn't stop praising her. He said: "Wrestling is a very tough game but inspite of it being so tough she is very confident and always wants to be the best at it. She observes every move that we show her very carefully and after showing her maximum two times she exactly knows what to do. "She is such a big superstar but she is so humble, down to earth and extremely sincere towards learning the art form of wrestling." Kaliraman added that "when people will watch the film they will know that Anushka has put in so much hard work and has moulded into the character so well". 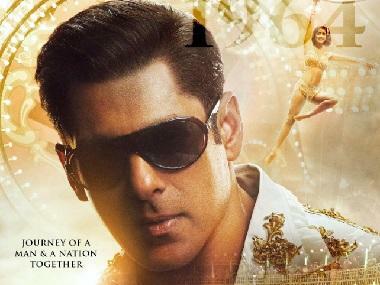 The film, produced by Aditya Chopra under Yash Raj Films banner, is slated to release on July 8.